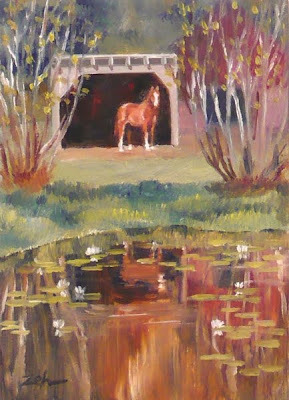 This painting of a beautiful white stockinged mare reflected in a lily pond was inspired by a scene at an historic property just down the road from me. This painting has been sold. See more of my art for sale at zehoriginalart.com. Thanks and have a great day!